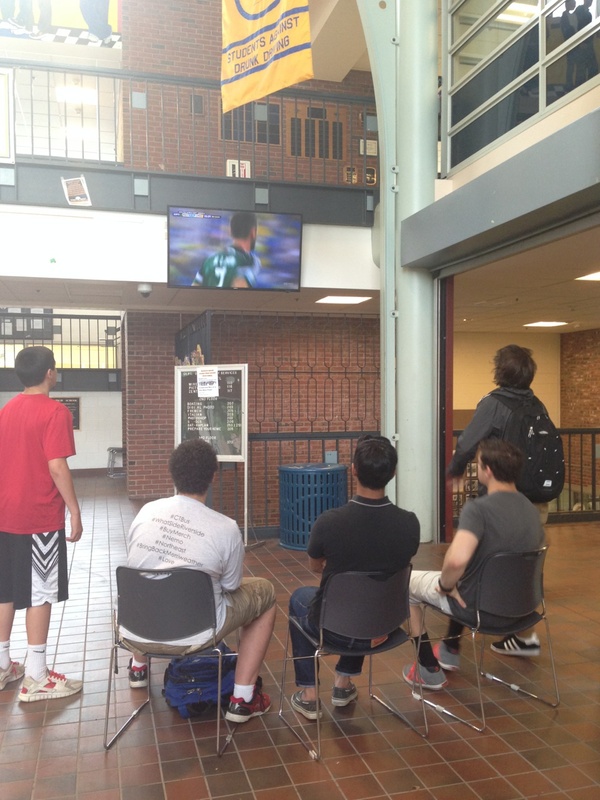 Students at AHS are going crazy because of the Fifa World Cup in Brazil. Señor Allen, head of the world language department, set up all the possibilities to view the World Cup; the World Cup is now up on all the foyer and cafeteria TVs. Clearly Senor Allen is very passionate about the World Cup. There also are students who are almost as passionate as Senor Allen. Although the World Cup is still in its matches state, it still is very intense and nerve-racking to watch. There have been a lot of shocking wins and losses during this past week. It’s a close call to what two teams are going to go all the way. This year’s world cup has a lot of people rethinking their brackets and bets.